3 What if.. 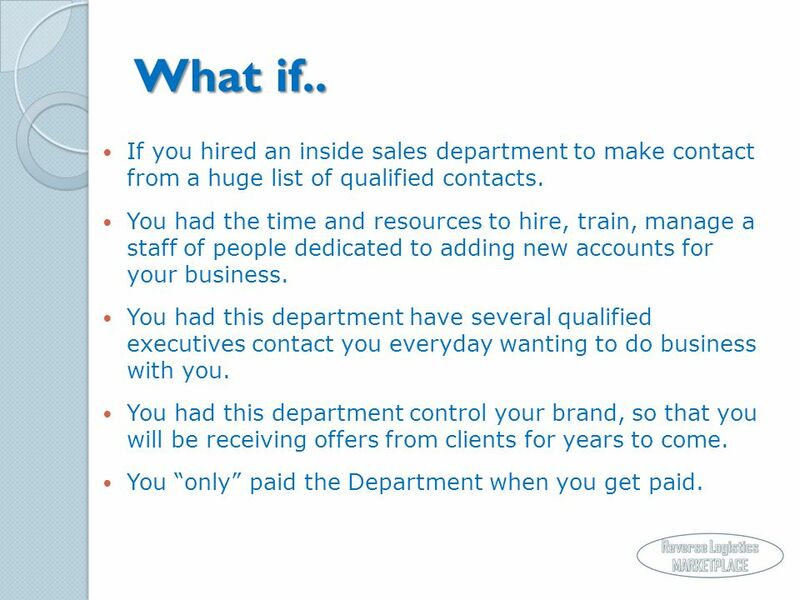 If you hired an inside sales department to make contact from a huge list of qualified contacts. 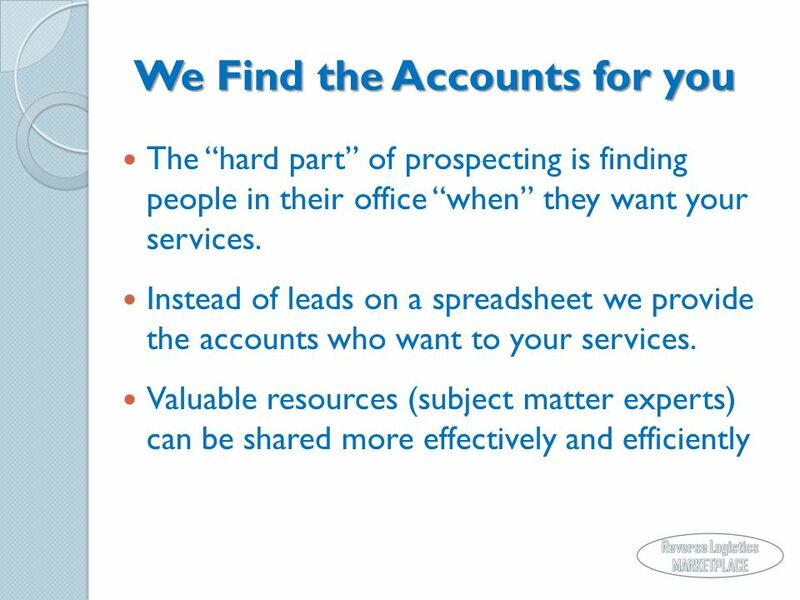 You had the time and resources to hire, train, manage a staff of people dedicated to adding new accounts for your business. 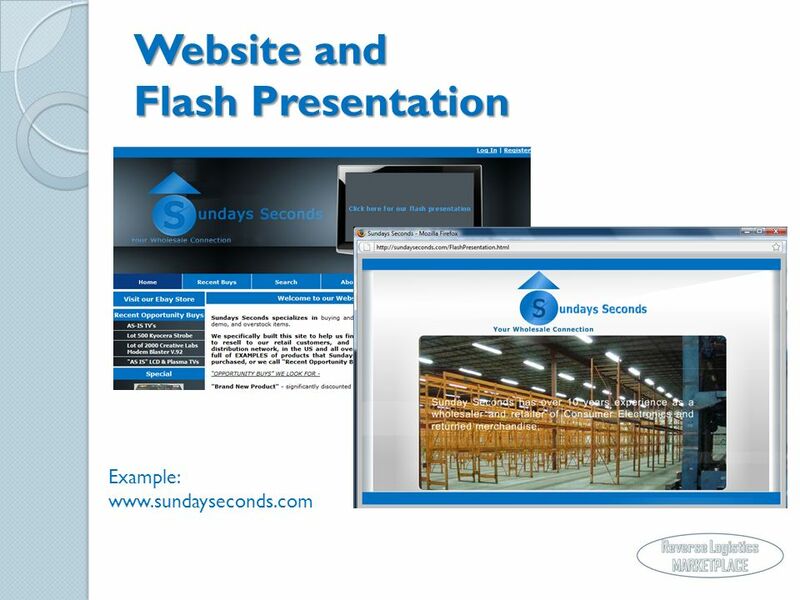 You had this department have several qualified executives contact you everyday wanting to do business with you. You had this department control your brand, so that you will be receiving offers from clients for years to come. You only paid the Department when you get paid. 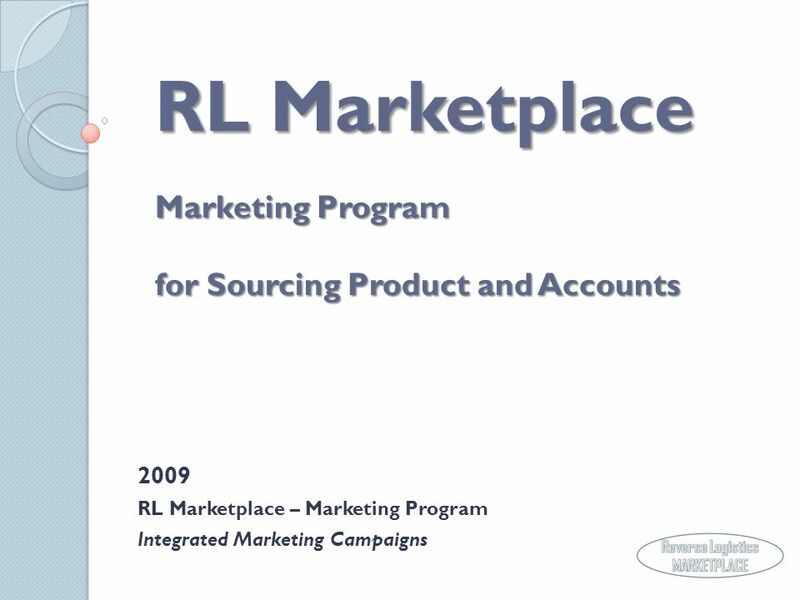 Download ppt "RL Marketplace Marketing Program for Sourcing Product and Accounts 2009 RL Marketplace – Marketing Program Integrated Marketing Campaigns." Virginia Career Network LinkedIn. What is LinkedIn? 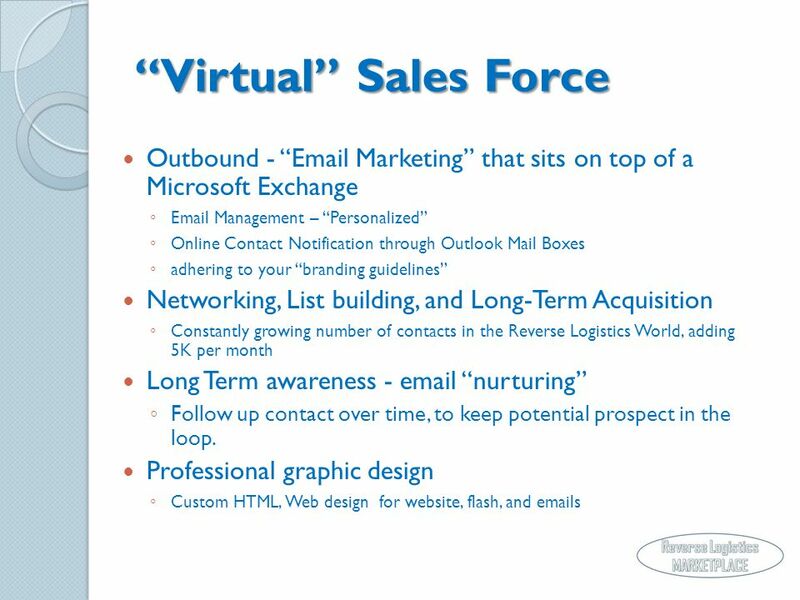 Overview Creating a profile Growing your contacts Sourcing capability. 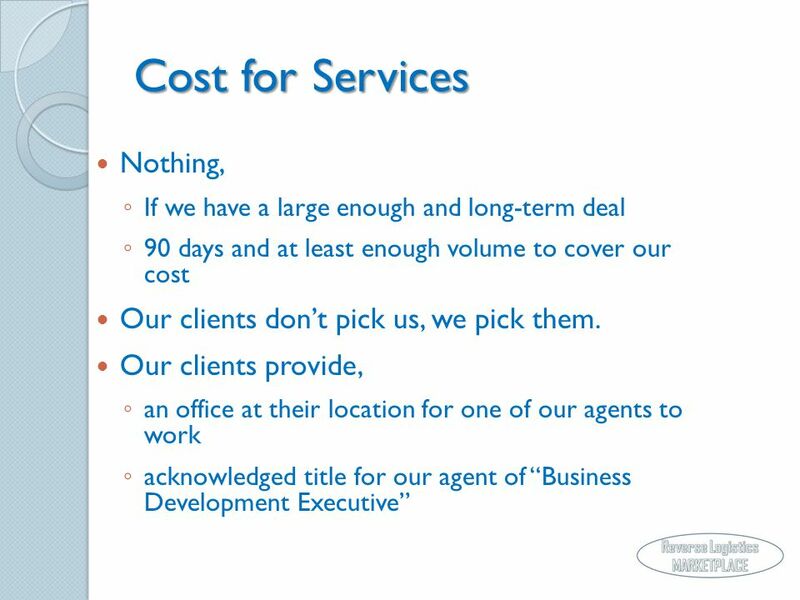 Monroe Virtual Services Providing Executive Virtual Assistance Worldwide 1. 1. Who is Db-Line 16 years of videogames industry Db-Line has been founded in The company grew quickly and positioned itself as a strong point of. Leadbot Service Overview Click any component on the diagram for more information. 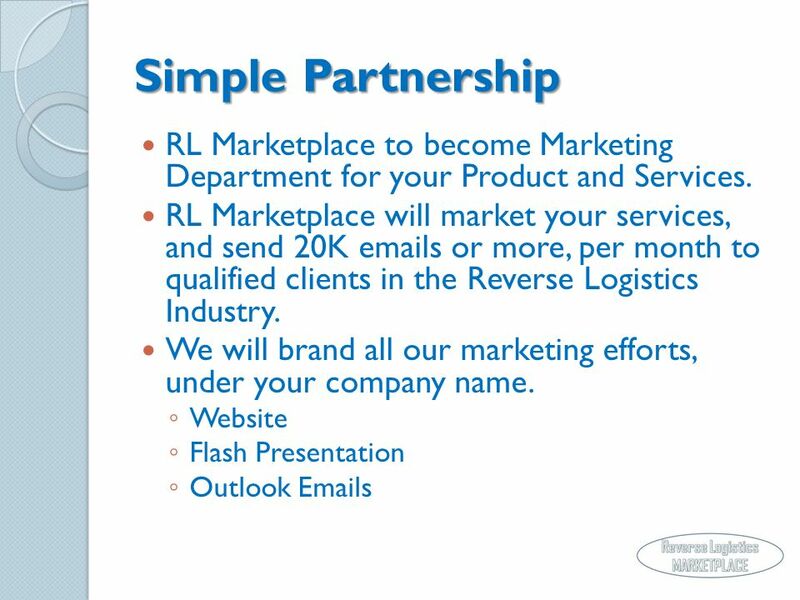 RLA Event Marketing: RLA Business Builder Program as an Event Marketing Tool. What can you do if you can’t afford a high-powered sales & marketing guru? Hire one anyway…here’s how. PROFILE Business Day offers outsourcing services in sales. We have extensive experience and expertise in the key to any business and. By Dana Reese.  Postcards are very inexpensive  Simple to use  Highly effective  Produce results in just a few days  Unavoidable Made In Alaska Workshop. Office Live Basics. Track projects, customers, and company information in one place  Manage your company's projects, sales leads, employees, customer. “Customer is King” this what the company believes in and is the reason that VNS GROUP incessantly aims to achieve and excel at providing end to end IT. 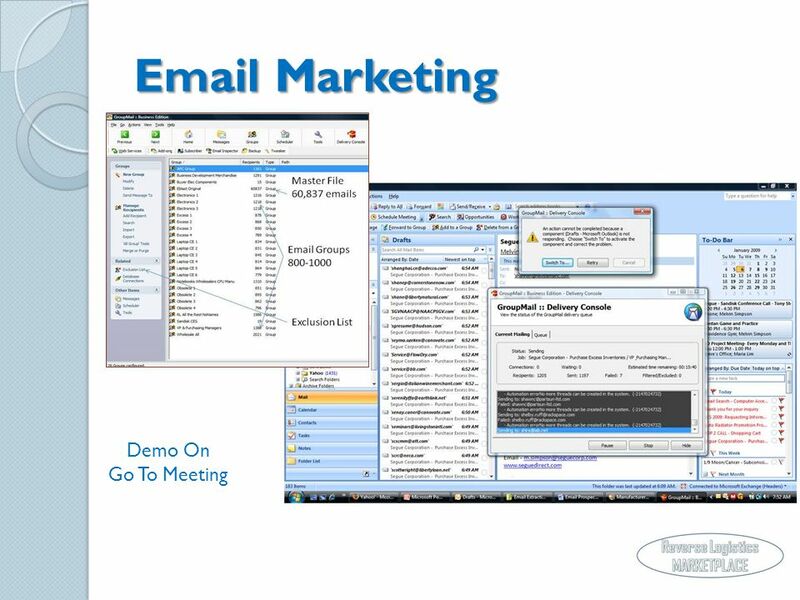 Welcome to Direct Marketing TELEMARKETING / TELESERVICES Chapter 14. FLAWLESS FINISHES Commercial Industrial Painting Co. LLC.